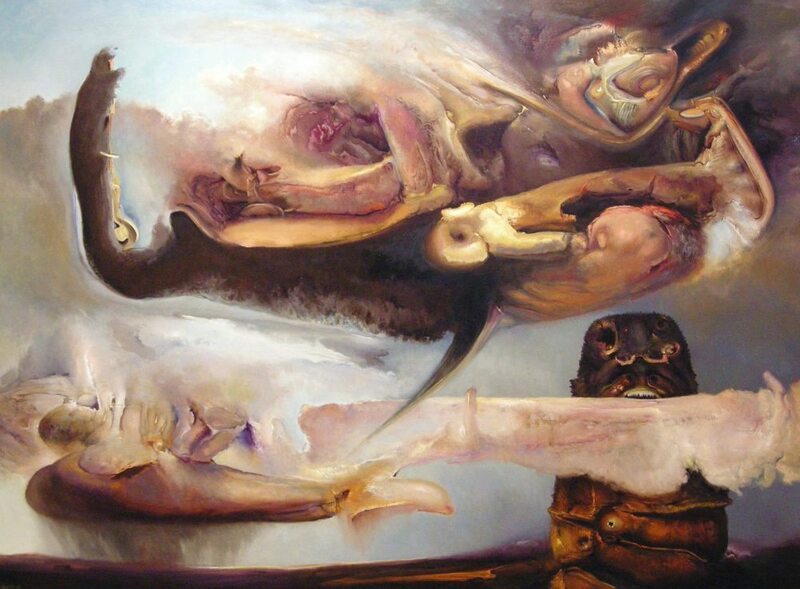 Image Credit: James Gleeson, What the Thunder Said, 1986, oil on canvas, 183 x 274cm, Private Collection, Melbourne. Image courtesy of Charles Nodrum Gallery. Image Credit: James Gleeson, Storm, 1998, Oil on canvas, 178 x 133cm, Signed & dated l.r. Private Collection, Melbourne, image courtesy Charles Nodrum Gallery. Photograph Gavin Hansford. 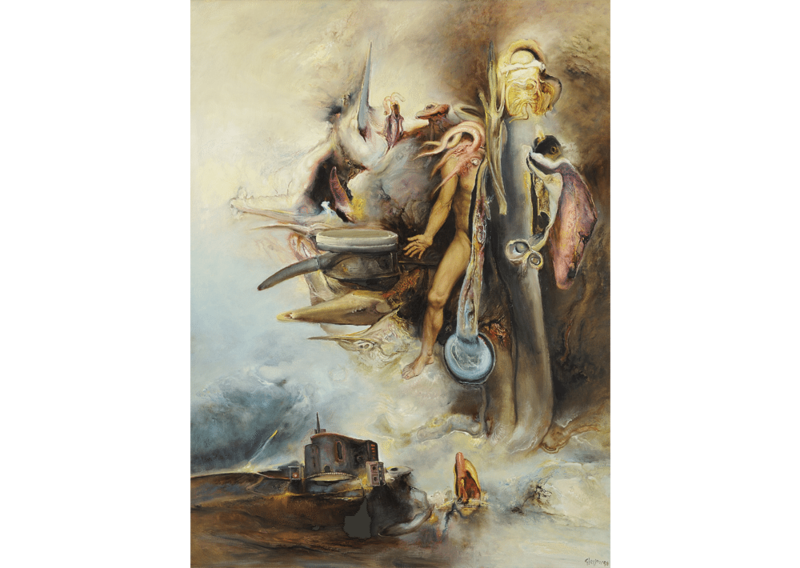 The paintings of James Gleeson reveal powerful and complex relationships between the human psyche and human experience – between myth and reality. His representations of natural and supernatural phenomena suggest a primordial past from which humankind has emerged and an apocalyptic future towards which humans are destined. Gleeson’s paintings are a potent reminder that human kind is one small component within the grand scheme of the cosmos.